Modern IT service provider organizations are under a continuous pressure to increase their competitiveness. Ways to reduce costs while improving performance of services are a key focus area for companies in the IT industry. However, despite all the solutions that have been proposed, modeling and optimizing human-centered processes remains a challenging task. The human operator may be influenced by multiple factors and execute the process in a different way each time, thus introducing a significant variability in the final process outcome. Therefore, the goal of this chapter is to introduce the concept of mashups as an effective approach to improve performance in terms of productivity and reliability of human-centered IT Service Management (ITSM) activities. 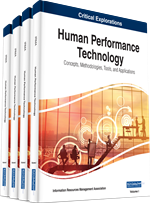 In particular, this chapter aims to define management solutions required to deliver and demonstrate improvements in performance of human-centered ITSM processes. The introduced management solutions are examined through a real case study, related to the Request Fulfillment process. Over the past few years, Web applications have taken on renewed interest by the research community. These applications, termed as Web 2.0, are focused on the end-users and more importantly, encourage them to create their own applications. As a result, there is an increasing demand for principles that support re-use of content, collaborative sharing, and compilation of content among users (O’reilly, 2005; Majchrzak & More, 2011). These principles guide applications known as Mashups, which are, in turn, central to this work. Mashups have emerged as a class of Web applications that composes content from a variety of data sources such as Web pages, RSS feeds, Web services, and online APIs (Merril, 2006; Edberg, Ivanova, & Junior, 2012).